Rotary File for May 26, 2015 | Rotary Club of Iowa City A.M. 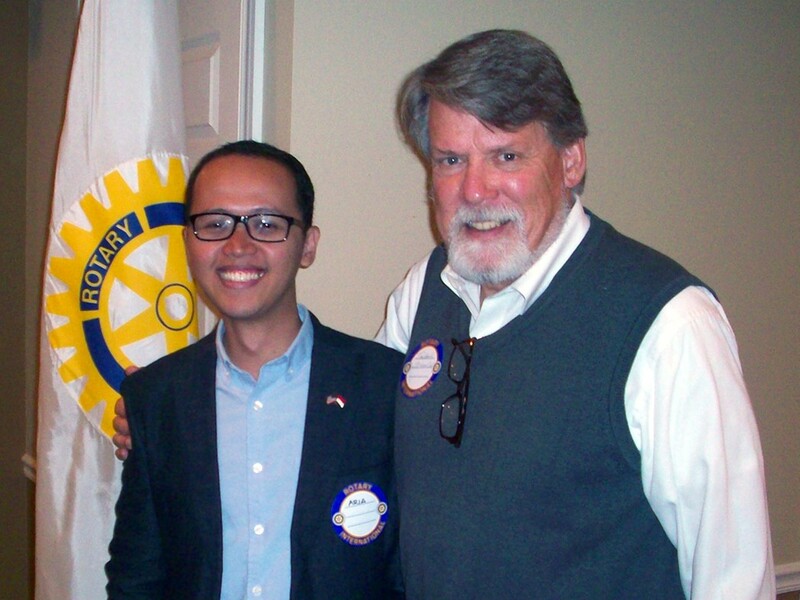 The speakers at the May 26th meeting were Tom Markus and Aria Widyanto talking about the Young Southeast Asian ambassadorial fellow program sponsored by the International City/County Management Association and the White House and Mr. Widyanto's experiences with this program. Mr. Widyanto is from Jakarta, Indonesia. Notes of the Rotary Club of Iowa City A.M.
All veterans were recognized and thanked. Mark Patton was absent; his mother-in-law passed away and he was attending a memorial. The club board meeting is this Thursday at 6:45am at Waterfront HyVee. Myrene Hoover circulated a copy of Ovation and highlighted members who were featured in the book. At each table, there was a sheet with a summary of evaluation of the club as well as a roster of attendance and make-ups. Jean Knepper and Ann Langenfeld. The Habitat for Humanity trailer was on TV. FAMSCO storage is being relocated. Volunteers are needed this weekend to help move items that will be shipped to Paraguay. RYLA and World Affairs will be coming soon; a total of 9 students will attend that are sponsored by our club; special thanks was given to Brian Adamec for coordinating the fundraising to support these students. Check attendance records. Members close to 100% attendance still have a chance to get in make-ups to count toward the perfect attendance award at the Year-Ender. 19 Rotarians shared Happy Bucks. ICAD has a committee to welcome international visitors; Tom Marcus made an introduction to the guest speaker, Aria Widyanto, who is from Jakarta, Indonesia. He is an international student fellow, sponsored by the State Department. He has been in IC since mid-May and will be staying for a month; he is participating in a home stay with the Markus family. to build and sustain long lasting relationships. A productive country; this is in part due to the fact that much of the population is under 35 and the economy of the country is very strong. There are more than 250 languages spoken in the country. Indonesia is a democracy and not a Muslim state (the majority religion) because of the ethnic, language and religious diversity of the country. Club members asked questions regarding the length of his stay, languages he speaks, his area of study, transportation in the country (specifically cars).